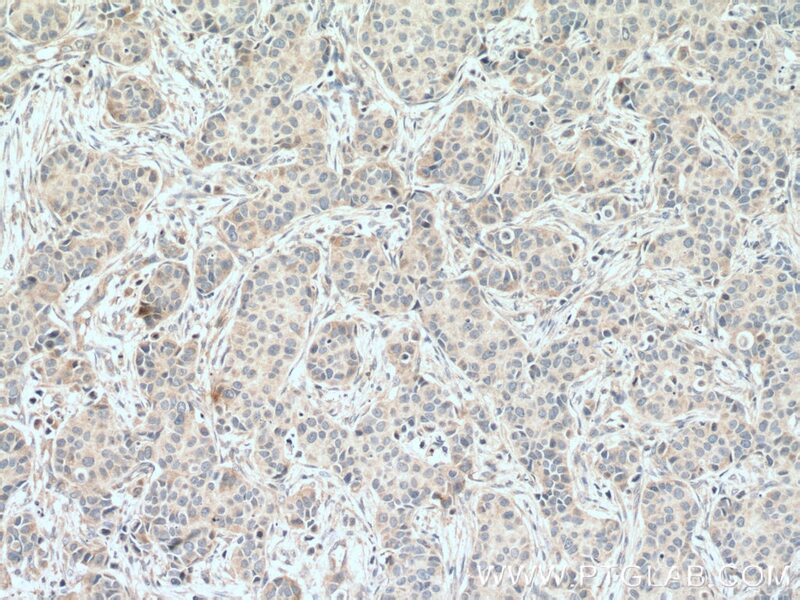 Immunohistochemical analysis of paraffin-embedded human breast cancer tissue slide using 66460-1-Ig( IKBKG antibody) at dilution of 1:300 (under 10x lens) heat mediated antigen retrieved with Tris-EDTA buffer(pH9). 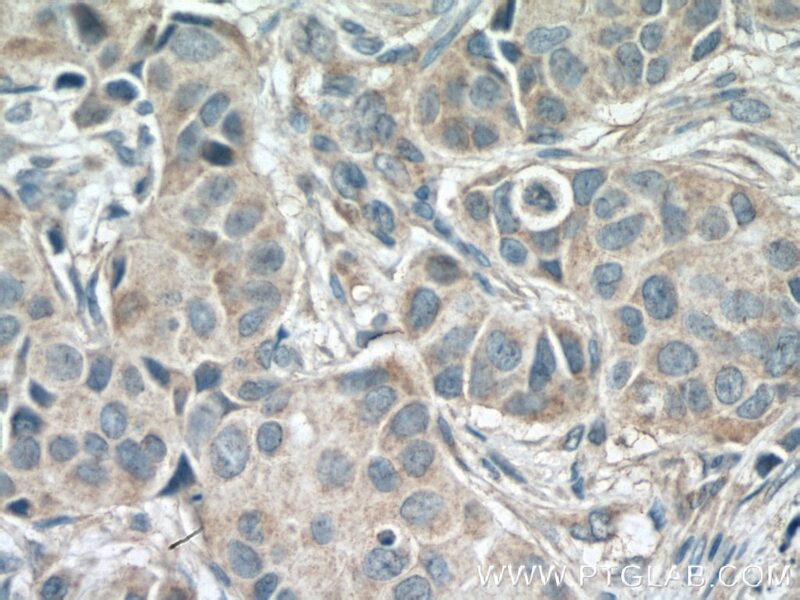 Immunohistochemical analysis of paraffin-embedded human breast cancer tissue slide using 66460-1-Ig( IKBKG antibody) at dilution of 1:300 (under 40x lens) heat mediated antigen retrieved with Tris-EDTA buffer(pH9). 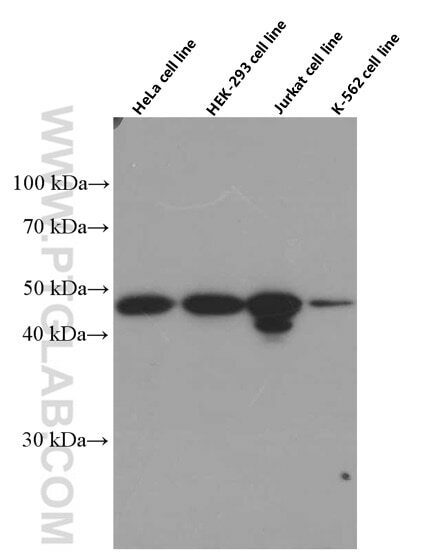 IKBKG, also named as FIP3, NEMO, IKKAP1 and IKKG, is specifically phosphorylate serine or threonine residues that are followed by a proline residue. IKBKG is regulatory subunit of the IKK core complex which phosphorylates inhibitors of NF-kappa-B thus leading to the dissociation of the inhibitor/NF-kappa-B complex and ultimately the degradation of the inhibitor. Its binding to scaffolding polyubiquitin seems to play a role in IKK activation by multiple signaling receptor pathways.